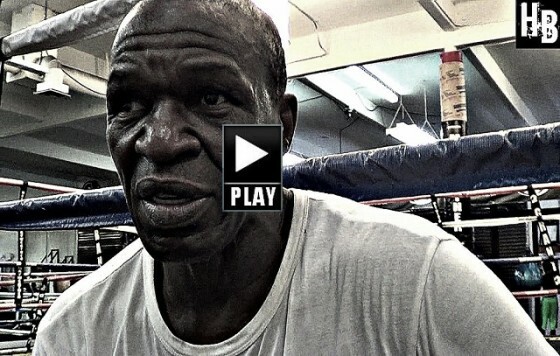 Tag Archives: Floyd Mayweather Sr.
www.HustleBoss.com and Domo TC step inside of City Athletic Boxing as 20-year old female amateur talent Bianka Thompson works with her trainer Monyette Flowers as well as getting some advice from the famed Floyd Mayweather Sr.
Bianka just recently returned to the sport full-time and is already a great fit inside of the gym. Stay tuned for more details on her next move. Will the boxing world ever see Floyd Mayweather face Manny Pacquiao? That is definitely the question you hear these days. Amir Khan’s stock is as high as ever following his dominant unanimous decision victory over Devon Alexander this past weekend in Las Vegas. Khan was razor sharp, picking Alexander apart with precise shots inside of the MGM Grand, nabbing his 30th victory as a professional while also paving the way for a possible dream fight vs. Floyd Mayweather in 2015. 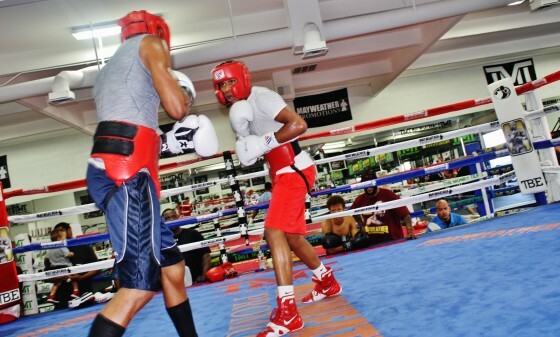 There are a pleothora of emerging prospects in the Las Vegas boxing community. 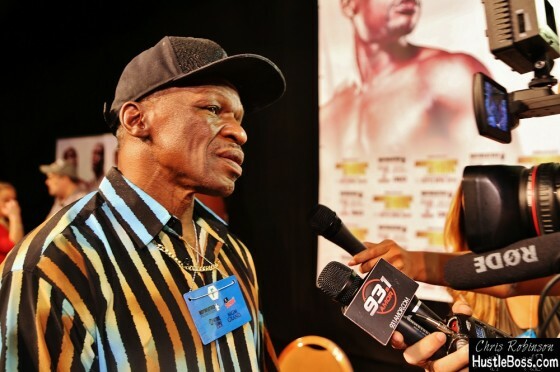 Trainer Floyd Mayweather Sr. is always open to working with somebody new, but it’s very rare that a fighter can catch his eye. 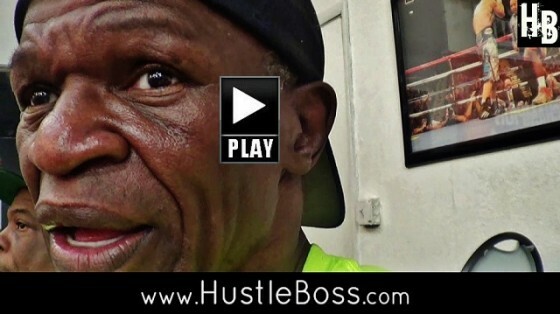 HustleBoss.com catches up with trainer Floyd Mayweather Sr. to get his thoughts on how long he will keep pushing as a top level trainer in today’s boxing landscape. 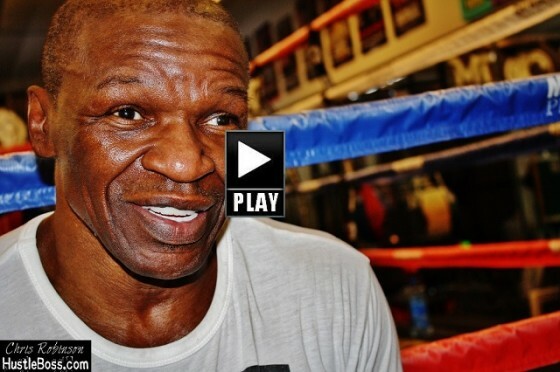 The work continues for LaDarius ‘Memphis ‘Miller and Floyd Mayweather Sr.
HustleBoss.com was on hand inside of the Mayweather Boxing Club as upcoming LaDarius ‘Memphis’ Miller continued to grind with his head trainer Floyd Mayweather Sr.
HustleBoss.com catches up with trainer Floyd Mayweather Sr. to get his thoughts on whether he has been communicating with his son Floyd about his ring future. 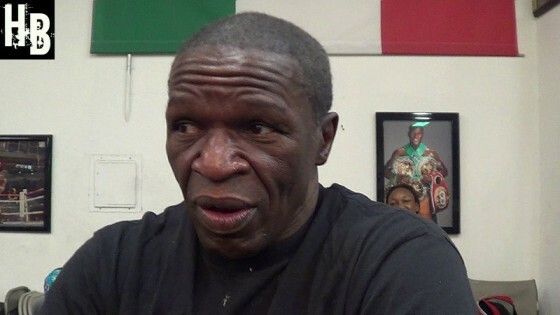 HustleBoss.com speaks with outspoken trainer Floyd Mayweather Sr. about some of his son Floyd’s greatest victory in the ring, including the Genaro Hernandez and Arturo Gatti blowouts. 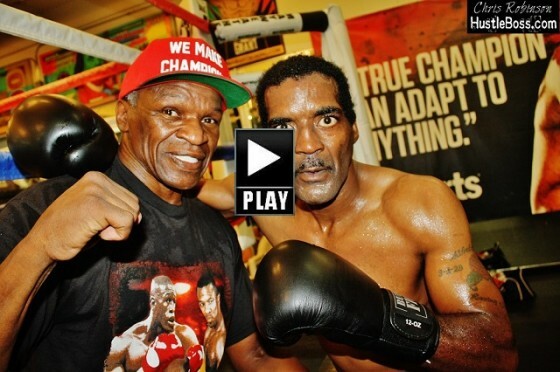 ‘Dangerous’ Don Moore learning some tricks from Floyd Mayweather Sr .
HustleBoss.com catches up with lightweight prospect ‘Dangerous’ Don Moore (17-0-1, 10 KO’s) as he gets in some valuable family advice from trainer Floyd Mayweather Sr. inside of the Mayweather Boxing Club in November 2014. 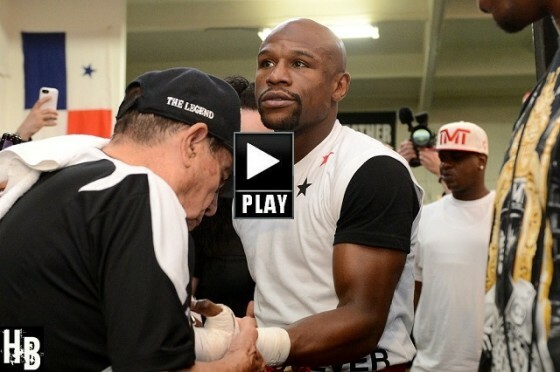 Should Floyd Mayweather try to break Rocky Marciano’s record? 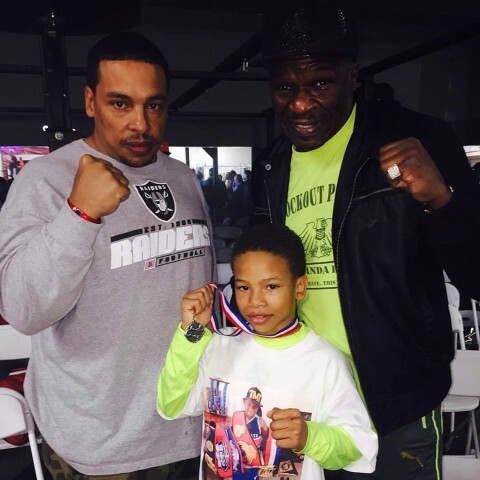 Exclusive with Floyd Sr.
HustleBoss.com catches up with one of a kind trainer Floyd Mayweather Sr. to get his thoughts on whether his son Floyd should continue fighting to break Rocky Marciano’s ’49-0′ record. 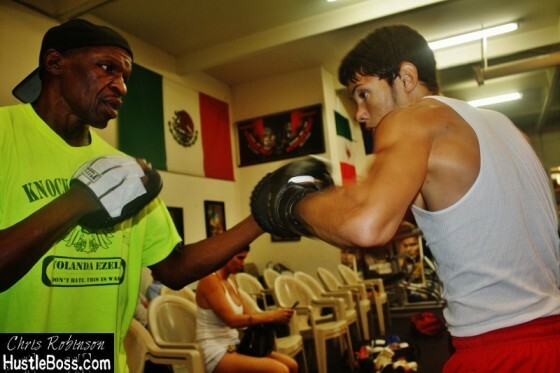 HustleBoss.com catches up with trainer Floyd Mayweather Sr., as he ponders a showdown between a prime version of his former fighter Oscar De La Hoya vs. today’s version of Canelo Alvarez. 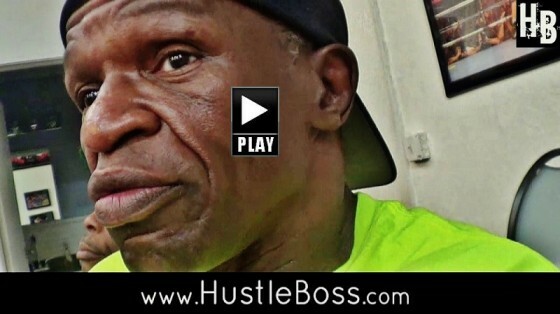 HustleBoss.com catches up with trainer Floyd Mayweather Sr. and former fighter/trainer Rashad Holloway inside of the Mayweather Boxing Club, as they speak on their bond in the sport. 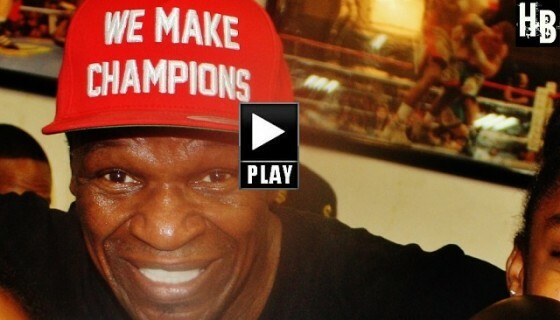 HustleBoss.com catches up with trainer Floyd Mayweather Sr. inside of the Mayweather Boxing Club, as he speaks on the Dec. 13 showdown between British star Amir Khan and former two-division champion Devon Alexander, as well as the future of his own son Floyd. 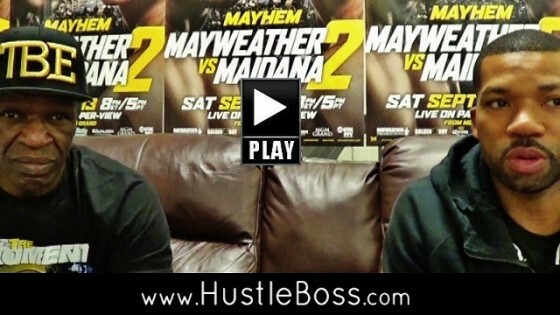 HustleBoss.com speaks with trainer Floyd Mayweather Sr. about the possibility of his son Floyd facing off with WBA middleweight champion Gennady Golovkin (31-0, 28 KO’s) in the future. 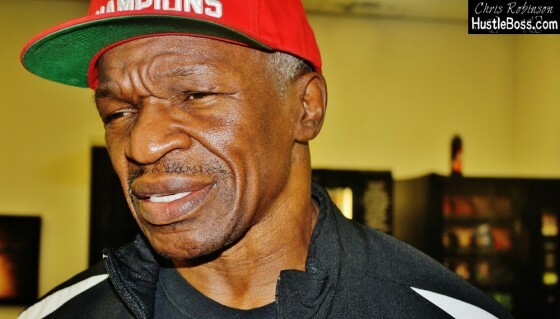 Senior is against the fight and would rather Floyd fight on and focus on break Rocky Marciano’s 49-0 record. 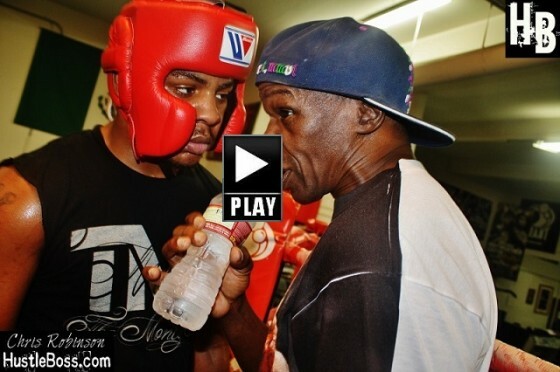 HustleBoss.com steps inside of the Mayweather Boxing Club, as cruiserweight prospect Andrew Tabiti (8-0, 8 KO’s), as he displays intense heavy bag work as his trainer Floyd Mayweather Sr mentors him. 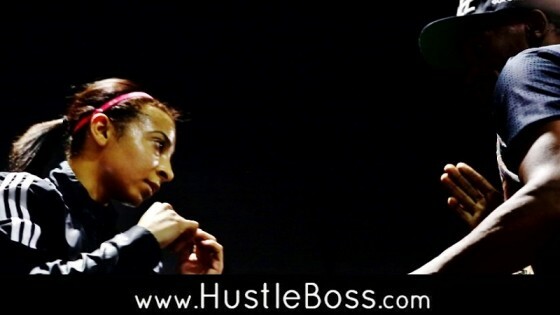 HustleBoss.com was on inside of the Mayweather Boxing Club in Las Vegas, Nevada as undefeated junior welterweight prospect LaDarius ‘Memphis’ Miller put in work with trainer Floyd Mayweather Sr. Photos: LaDarius ‘Memphis’ Miller now training with Floyd Mayweather Sr.
HustleBoss.com steps inside of the Mayweather Boxing Club with undefeated junior welterweight prospect LaDarius ‘Memphis’ Miller (4-0, 1 KO), as he begins working with esteemed trainer Floyd Mayweather Sr.
“He’s hands on,” Miller stated, when asked of the move. Former light heavyweight champion Eddie Mustafa Muhammad had been in Miller’s corner during his early professional run.